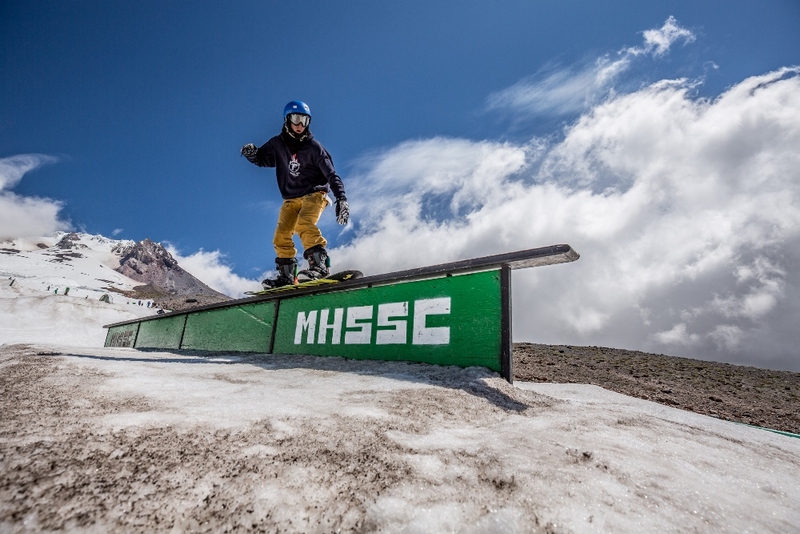 MHSSC freeride snowboard camp is open to every skill level of snowboarder. Each day our snowboard coaches spend time freeriding on the groomed slopes as well as spending time working on jibbing and jumping skills in our private terrain park. 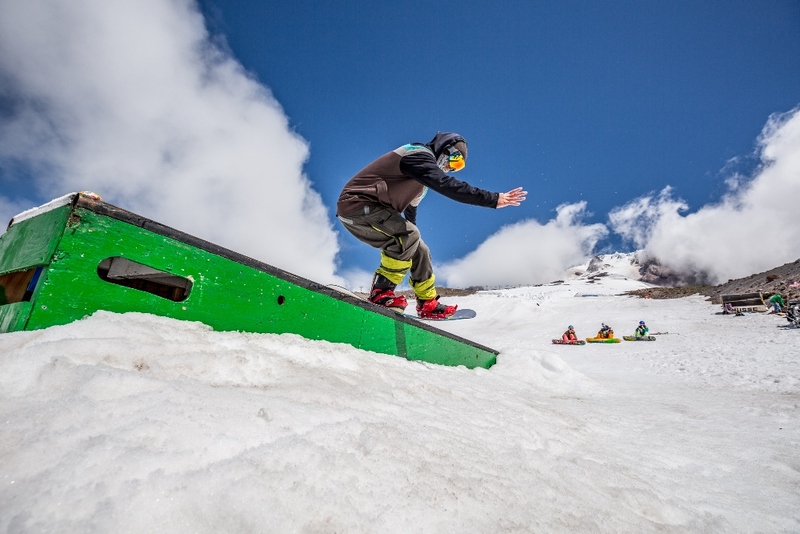 During your session, our coaches will help you to improve your snowboarding by teaching you the solid fundamentals and correct technique so you can learn to ride with the skill and style you want. Your goals will be assessed and a safe and successful progression will be planned for you to achieve the best results. From straight airs to rail grinds, all riders will learn something new. 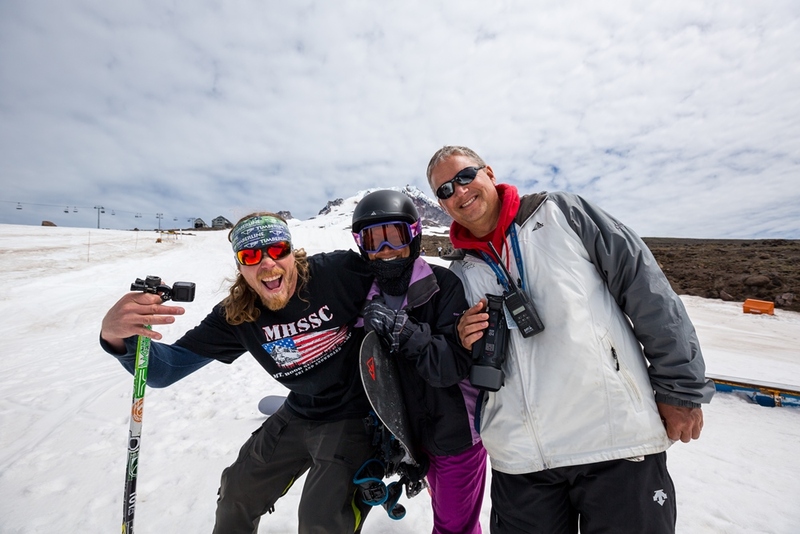 All of our coaches have strong coaching and snowboarding backgrounds and are passionate about their sport. Coaches are here to teach you and enable you to achieve your goals, and we are always stoked to ride with motivated snowboarders like you. 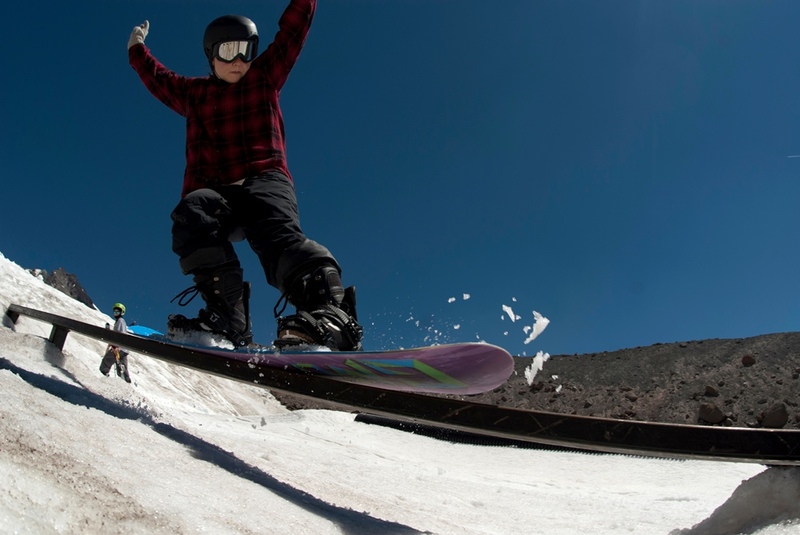 Learn to Snowboard for beginners: The Learn to Snowboard program is offered in the summer during sessions 1 thru 6 only. We'll start off teaching you all the basics you'll need to get on your way to become a solid snowboarder. We work with our beginner snowboarders on the flatter groomed terrain offered on the Magic Mile chairlift (snow permitting) and lower Palmer. 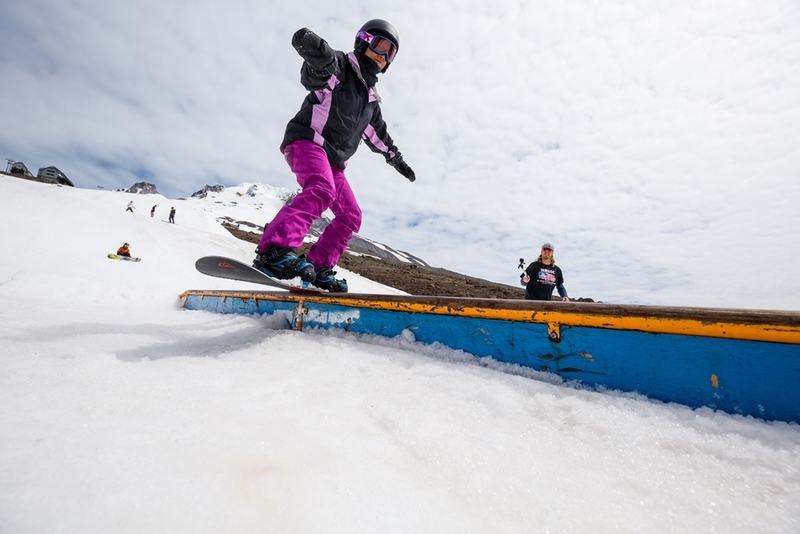 We recommend beginner snowboarders sign up for the early summer sessions when there is more snow left on the lower flatter part of the mountain. 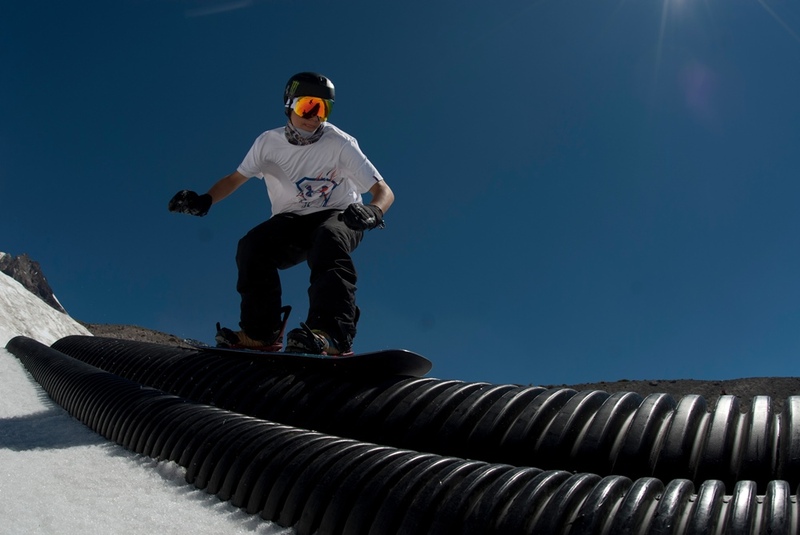 In the early morning hours, when the snow is more firm, we teach our campers how to ride on hard snow, which is ideal training for all-around snowboard skill building. Training on firm snow teaches you proper stance, balance, and carving skills which all relate to what you do in the terrain park. As the snow softens, we head to the terrain park for the best freestyle training conditions. 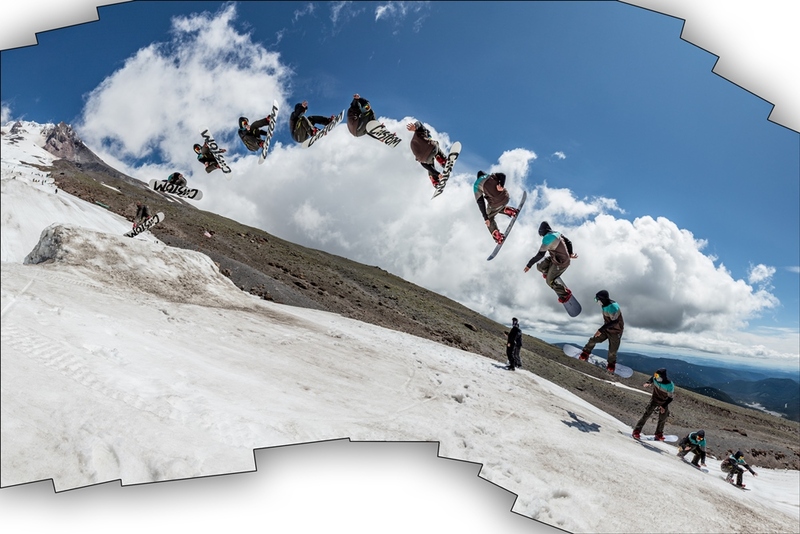 Every day we video your freeriding, park and pipe riding. Then you and your coaches get together and figure out what you need to work on. Video analysis is one of the most powerful learning tools available to you and will help you achieve your goals faster. At the end of the week, you can purchase a copy of your Video. 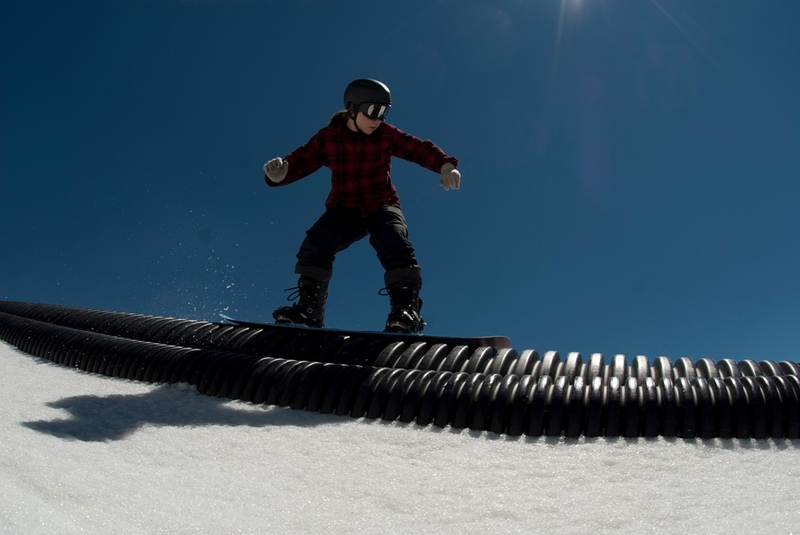 TERRAIN PARK JUMPS, BOXES, & RAILS...WE HAVE IT ALL! Can't do a 360? Having trouble landing that 720 mute grab? Our coaches can help! 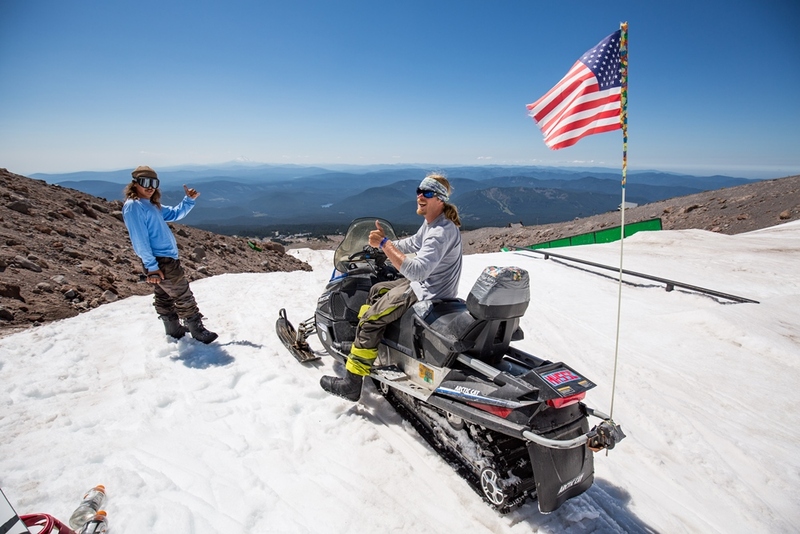 MHSSC operates it's own private park for snowboarders and freeskiers. The terrain park is shaped every day by our diggers to accommodate the campers’ individual learning goals. There are features for every level to provide a steady progression through to the week’s end. We have a progression of jumps from 5 foot mini's to floaty 50+ foot to suit all level of campers. We have lots of rails, boxes and jib features to pick from with a great progression for all levels. Our park on "Lower Cuervo" is the spot to be. 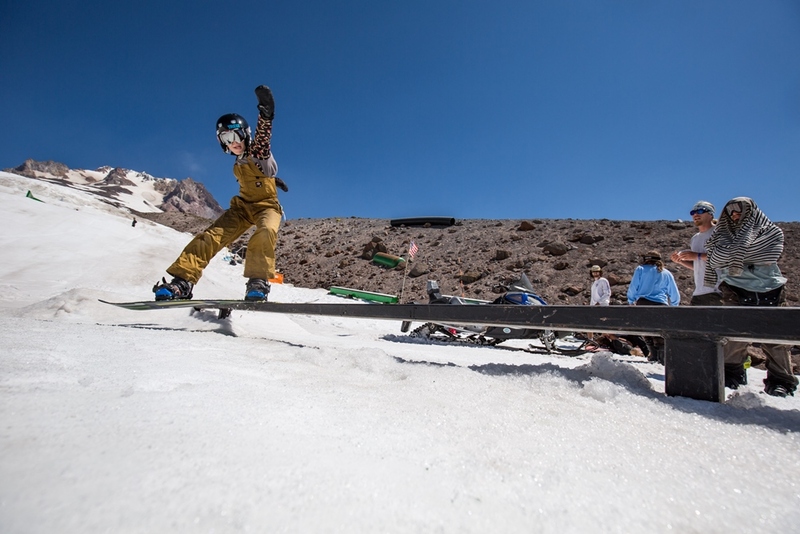 In the early summer sessions, Timberline offers a public terrain park the full length of the Magic Mile chairlift as well as a public halfpipe. Whether it’s your first time in the pipe or you’re working on boosting 8 feet out, MHSSC can get you to the next level. With two express quad chairs and 2500' vertical, you have the opportunity to get in a lot of quality training in a short period of time. Mt. Hood weather is highly variable with mid-winter conditions likely at any time, so be prepared. Winter clothing, rain gear, and racing equipment should be brought as well as summer clothing. Layers work best at Mt. Hood. As it warms during the day, you'll take the layers off and stow them in your backpack. Sun protection is very important, Skiing at the 8,500 foot level is hazardous to the skin and eyes if not well protected. 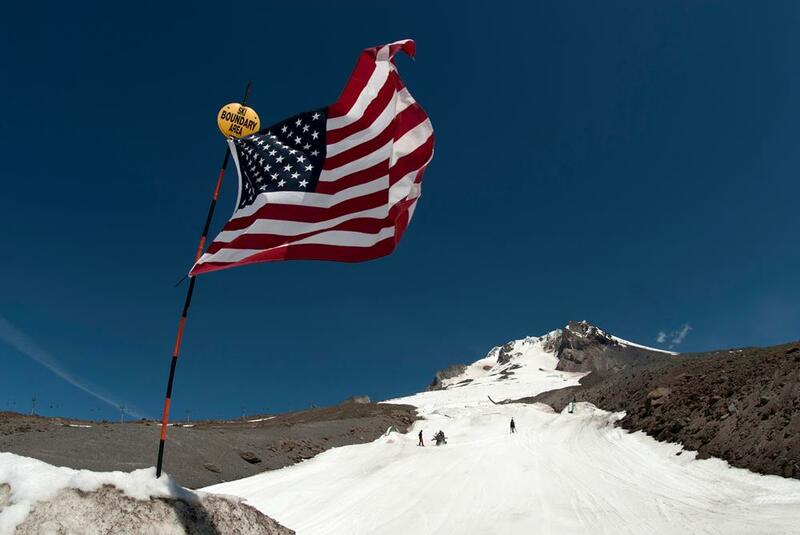 You must bring a good pair of sun glasses, dark lens goggles and #15 (or higher) sunscreen. We also recommend that you train wearing a helmet. Best Summer Ever 2: Mt. 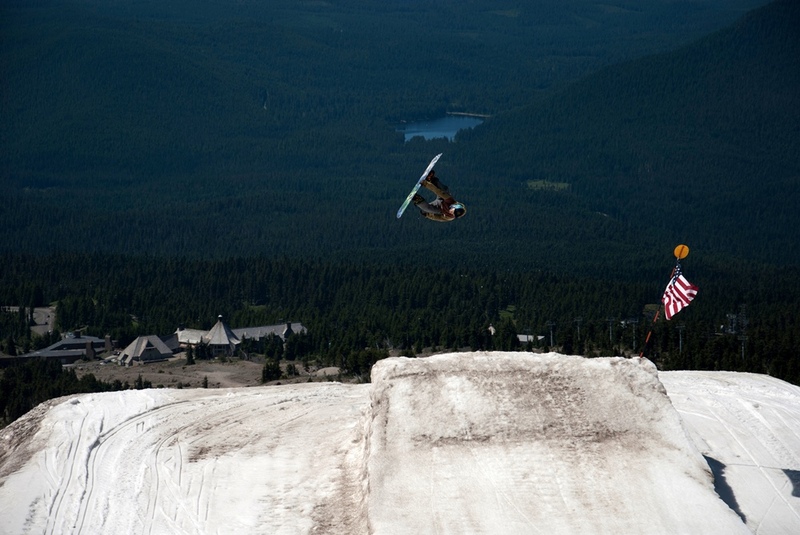 Hood Summer Ski & Snowboard Camp from YoBeat on Vimeo.